In addition to providing our clients with peace of mind about the safety and integrity of their wine collections, 55° prides itself on offering its members unparalleled and personalized customer service. 55° members enjoy benefits that far exceed those offered by our competitors, including easy online access to their wine collections with a sophisticated yet user-friendly inventory management tool. Online inventory management: No matter how simple it sounds, keeping track of a wine collection as it expands and contracts over time is no easy feat. The Club 55° online cellar management tool streamlines and simplifies the entire process and is integrated with all of your acquisitions, allowing you to have additional collections that are all managed within one program. 55° will accept wine shipments on your behalf, confirm the content and update your inventory database. All additions and removals to your inventory are updated by our professional cellar staff and confirmed to you via email. Transfer requests: Outgoing service requests must be submitted in advance via our online transfer form. Once processed, your wine can be picked up by you or your authorized shipper during the normal business hours of Monday - Friday 8:00 a.m. to 5:00 p.m. and Saturday by appointment. Local pick-up requests: 55° will pick up your wine purchases, including Wine Club allotments, from most wineries or wine stores within Napa and Sonoma County and add them to your inventory. 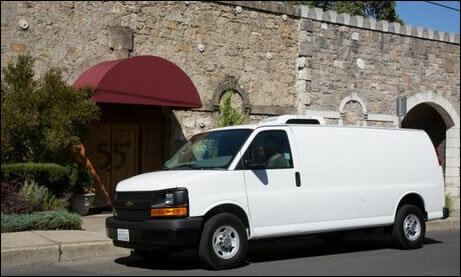 All local pick-ups are made with our refrigerated truck to assure temperature stability throughout all seasons. Communiqués: Because of our strong relationships with wineries, 55° members have access to highly sought-after, limited production wines through our electronic newsletters. You’ll also have the opportunity to proxy-bid on local and charity auction lots, share wine club allotments, and advertise or trade wine with other 55° members. Discretion: We understand that our clients demand privacy and discretion. Our mailing list is never shared with any third party. © Fifty Five Degrees. All Rights Reserved. A Global Web Strategies, Inc. Website.